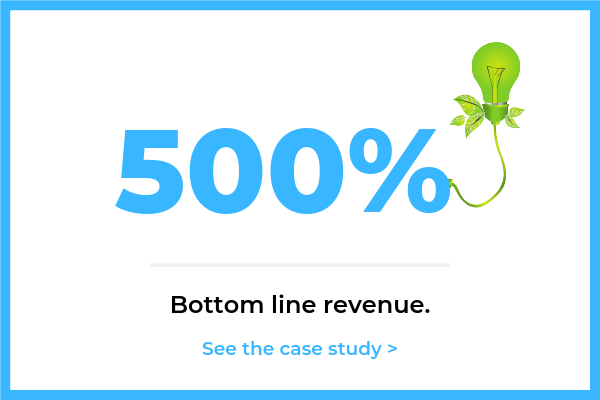 My content strategy and creation helped this startup B2B company more than quadruple their traffic. I was given the keys to their brands and asked to pursue the following goals. ► Create high quality content on a regular basis to attract new visitors in their target market. ► Find the most valuable keywords to rank for and create content to help us rank for them. ► Create an editorial calendar and create a content strategy and system that they could pass on to the future marketing team. Because we needed to set ourselves up to rank for the most valuable keywords, I started with an SEO audit. After the audit, I analyzed their competitors to get a better understanding of the market and what other content we were up against. I interviewed the founder and his co-founder as well. I also completed a full-scale keyword research, which provided us with the keywords I used to focus our content and build the content calendar around. 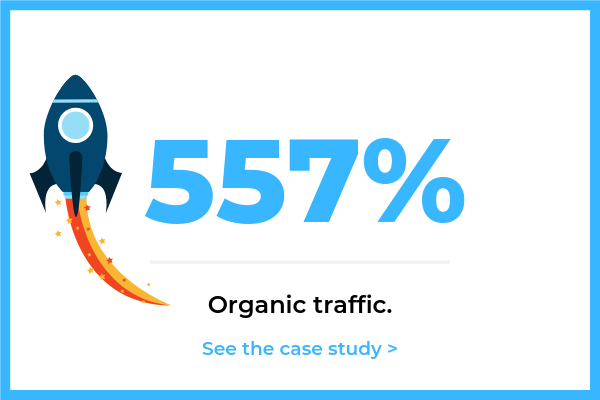 The research and interviews gave me the insights I needed to create a strong content strategy and an SEO strategy I knew would get us to the top. Finally, I began creating content. In only 3 months we had tripled our traffic for both brands. 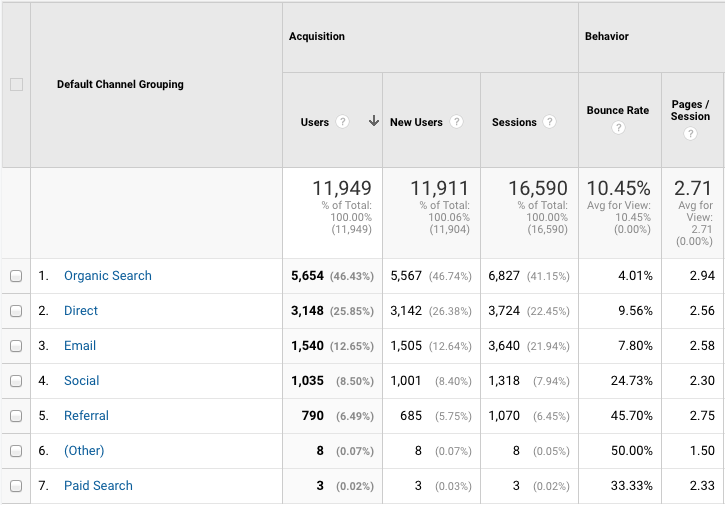 But our best results came around 8 months in, as you can see in the Google analytics charts. 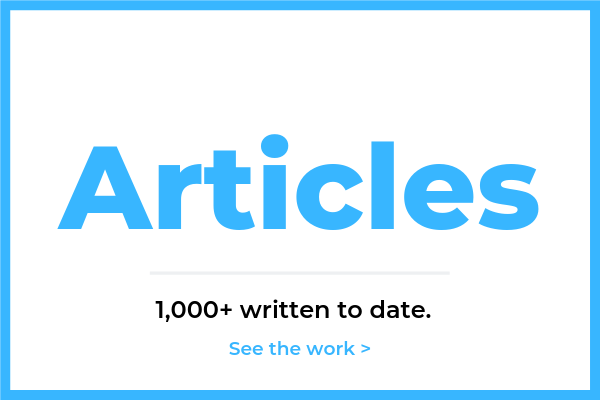 Our content excelled, increasing both organic traffic and direct. We learned that the direct traffic spike was caused by a heavy increase in brand awareness as well. 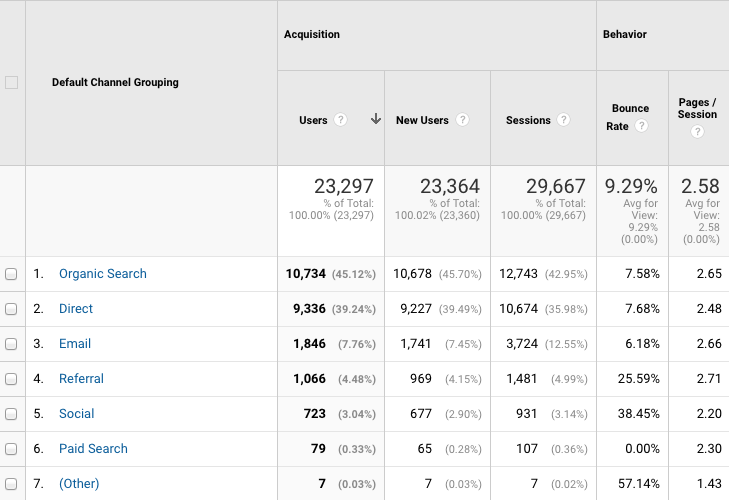 Overall traffic increase: 616%! That’s a 1,348% increase in traffic! (Only .3% from paid traffic). This content campaign actually produced some great results beyond what I’ve shown here, but this’ll do for now.